With this year’s World Cup underway, the Confederation of North, Central American and Caribbean Association [CONCACAF] is reflecting on the World Cup debuts of every CONCACAF representative to have appeared at a FIFA World Cup. Their website said, “With Panama playing in its first ever FIFA World Cup match on Monday versus Belgium, CONCACAF looks back on the World Cup debuts of every CONCACAF representative to have appeared at a FIFA World Cup. “Mexico [Uruguay 1930] – The first two matches at the very first World Cup were played at the same time and both involved CONCACAF nations. Mexico were unable to overcome a tough France side at the Estadio Pocitos in Montevideo, losing 4-1 with Juan Carreno scoring the lone Mexican goal. “United States [Uruguay 1930] – The U.S. was the other CONCACAF nation at Uruguay 1930, and while Mexico lost to France, the U.S. defeated Belgium 3-0 at Montevideo’s Estadio Parque Central. Bartholomew McGhee, Thomas Florie and Bert Patenaude scored for the U.S.
“Cuba [France 1938] – Cuba’s first and only World Cup appearance came in 1938 as they drew Romania 3-3 in their debut at the Stade Chapou in Toulouse, with Hector Socorro bagging a brace and Jose Antonio Magrina also scoring. “El Salvador [Mexico 1970] – El Salvador’s first ever World Cup match came at the historic Estadio Azteca in Mexico City, however, the Cuscatlecos were defeated 3-0 by Belgium. “Haiti [Germany 1974] – Haiti’s lone World Cup appearance began at one of the great stadiums in world football, Munich’s Olympiastadion. The Haitians fell 3-1 to Italy, with Emmanuel Sanon scoring for the Caribbean side. 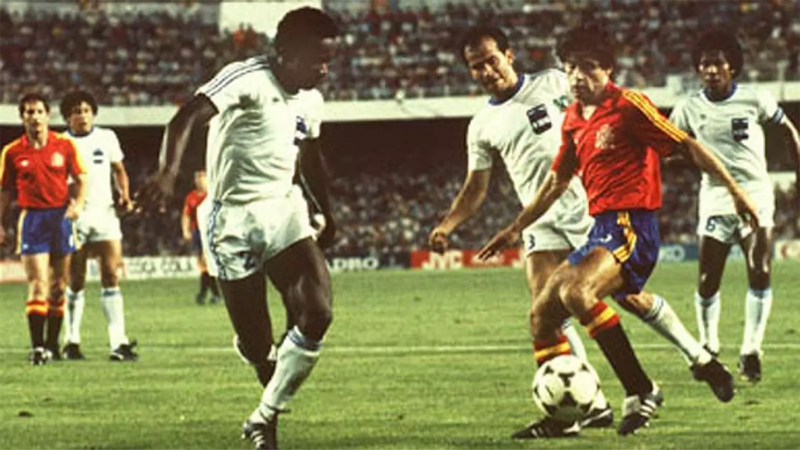 “Honduras [Spain 1982] – It is never easy to face the host nation at a World Cup, let alone in a first ever World Cup match, but Honduras performed with aplomb in drawing Spain 1-1 at the Estadio Luis Casanova in Valencia. Hector Zelaya scored to earn the Catrachos’ its first World Cup point. “Canada [Mexico 1986] – Canada’s first ever World Cup match was a difficult one as it faced then-European champions France. Still, the Canadians held their own and were narrowly defeated 1-0 at the Estadio Nou Camp in Leon. “Jamaica [France 1998] – The Reggae Boyz’s first World Cup match may have ended in a 3-1 defeat to Croatia, but Robbie Earle’s goal certainly put the Jamaica on its feet at the Stade Felix-Bollaert in Lens.